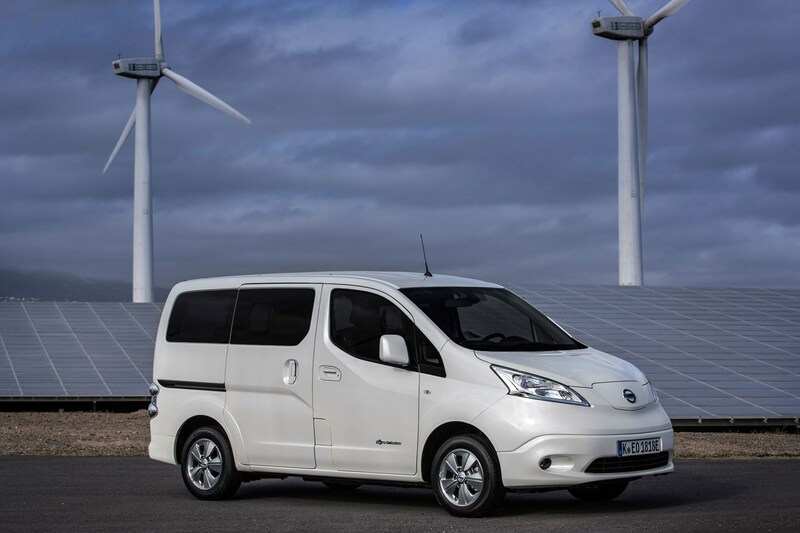 Nissan’s bestselling e-NV200 electric van has received an upgrade to its most critical aspect – the driving range. 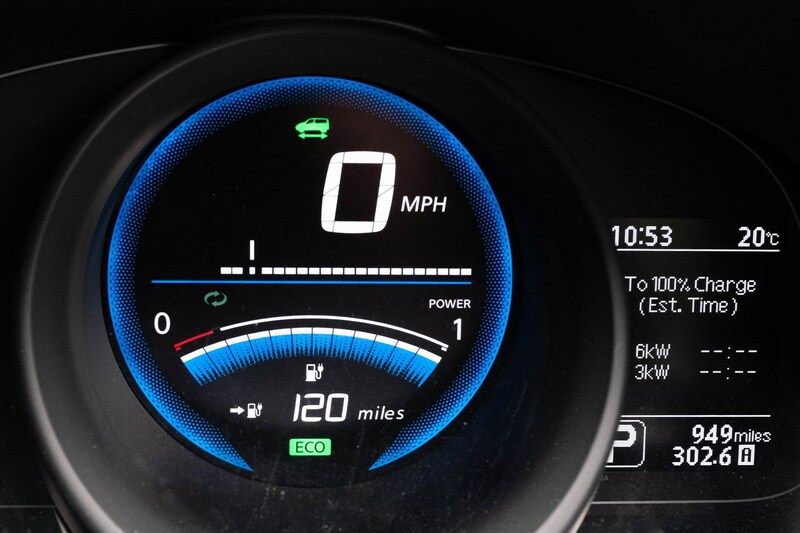 The 2018 model on review here can now travel up to 174 miles on a single charge, according the current official calculation method. 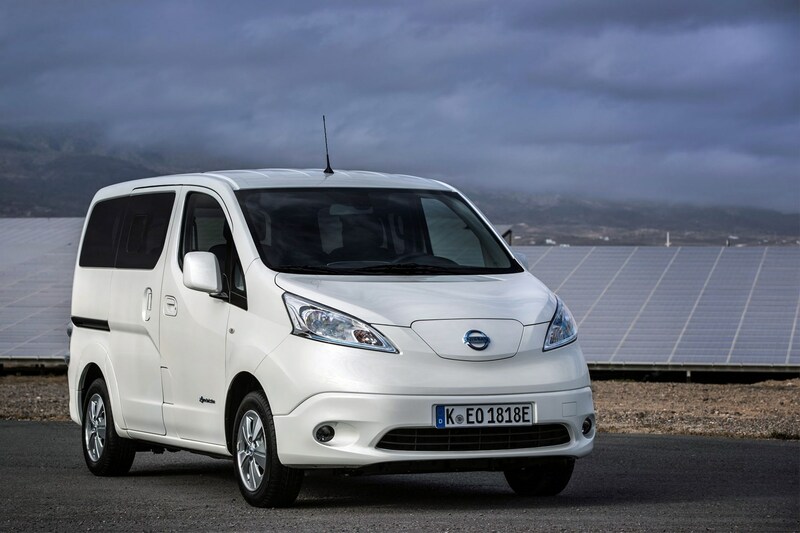 This gives the electric version of the Nissan NV200 small van the longest driving range of any electric van. 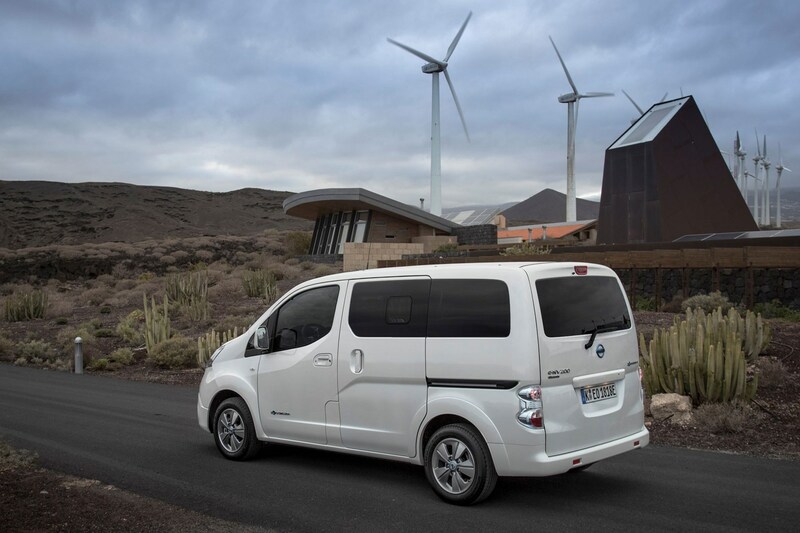 In reality, it won't go quite that far on a single charge, but following our first drive of the passenger version in Tenerife earlier in 2018, we've now driven the e-NV200 panel van right here in the UK. Keep reading to find out how we got on with it. How does the 2018 Nissan e-NV200 compare to other electric vans? That 174-mile NEDC figure puts the Nissan slightly ahead of its Renault Kangoo ZE 33 cousin – which is rated to 170 miles by the same measure – giving the upgraded e-NV200 the greatest single-charge driving range of any electric van at the time of writing. As with all electric vans, you have to take these official figures with a large pinch of salt. But as that change represents a 60% increase over the 106-mile range offered by the outgoing version, you can still expect a significant improvement over the 70-mile real world range the old e-NV200 could manage. 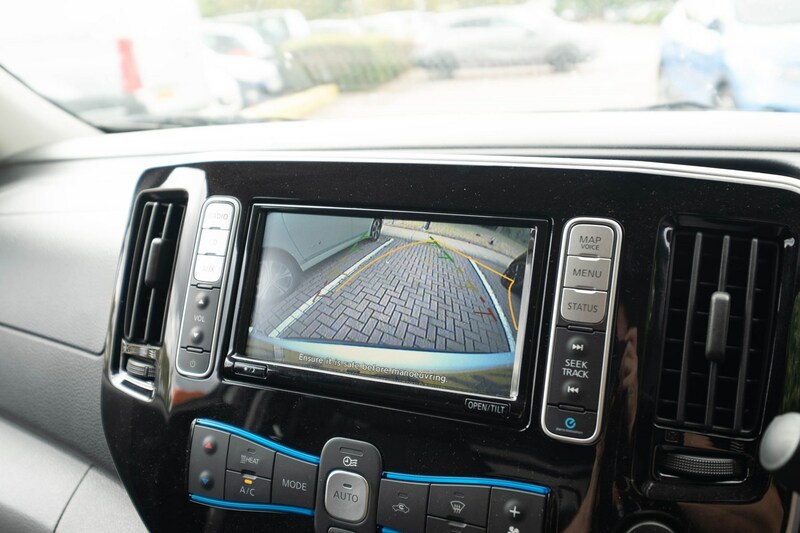 An official 106 miles is also the best you can hope for from the only other small e-vans on the market, the Citroen Berlingo Electric and Peugeot Partner Electric – leaving them looking rather out of date. Does the 2018 Nissan e-NV200 have enough driving range to be useful? The e-NV200 is one of the first vehicles to be tested to the new WLTP efficiency standard – designed to be more representative of real-world driving – where it’s been rated to deliver a combined city and motorway range of 124 miles. Drive mostly in the city and this shoots up to 187 miles per charge. 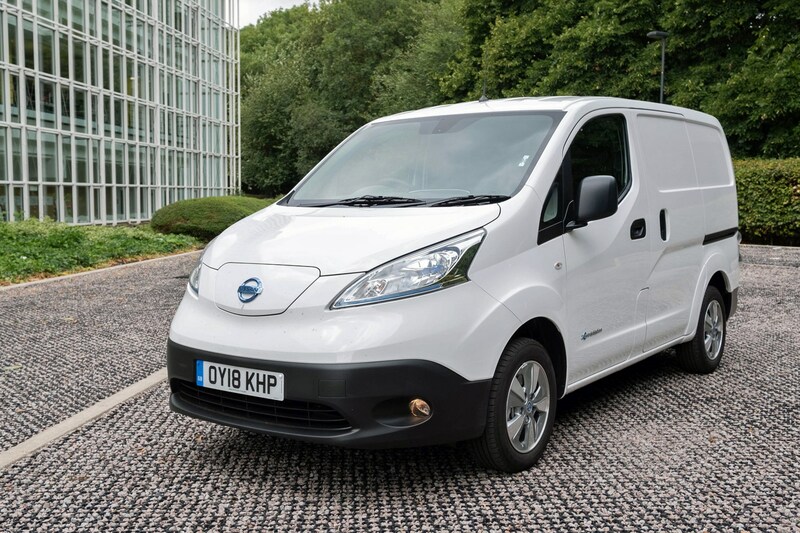 According to Nissan, the range increase means the e-NV200 is likely to appeal to 15% more customers than before, and could easily cover the distance required for 40% of all daily van journeys in Europe. Which is good news given coming tension between the rise of online retailing and associated last-mile delivery services (up 60% since 2015), and increasing concerns over city-centre air quality. 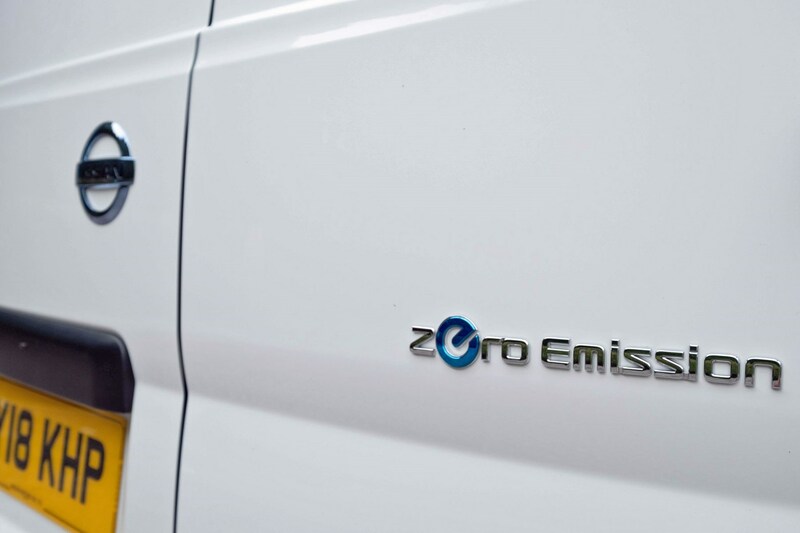 Being an all-electric vehicle, the e-NV200 generates zero local emissions when driving. What’s the 2018 Nissan e-NV200 like to drive? We’ve now spent a solid week driving the 2018 Nissan e-NV200 panel van, covering a range of journey types and distances in that time. This is certainly a vehicle that has its quirks. In the most basic sense, in pure driving terms there’s little to separate this from the pre-2018 version. The 80kW (equivalent to 109hp) electric motor that drives the front wheels is exactly the same as before – so performance is unchanged. 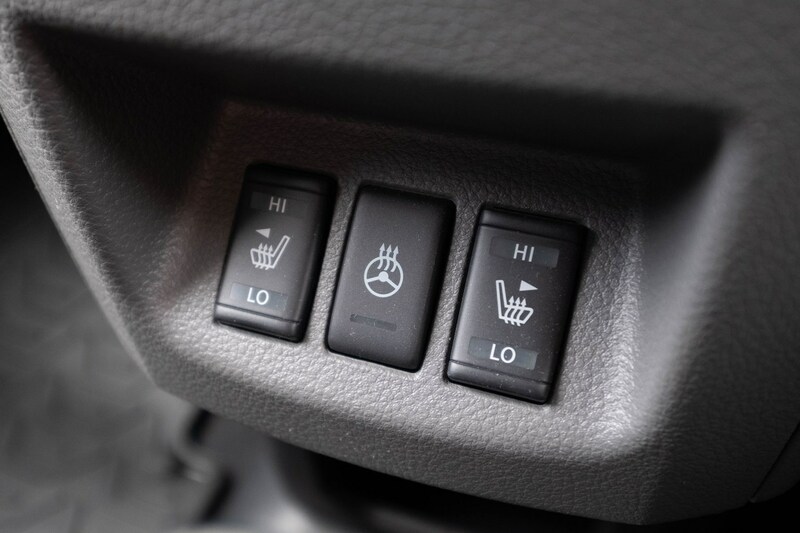 Yet you may be surprised just how nippy this makes the e-NV200. 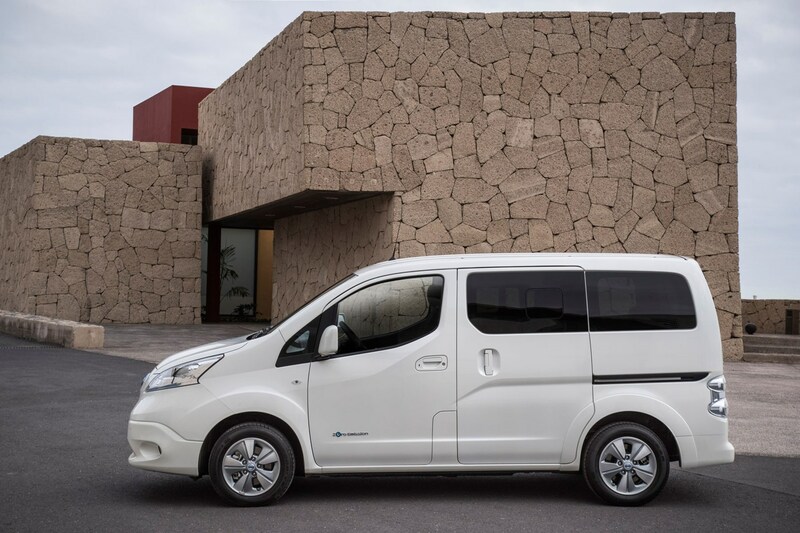 All electric vans are punchy at low speeds, since electric motors deliver all of their torque – 254Nm in the Nissan’s case – absolutely instantly, which means they accelerate from low speeds much more quickly than most people expect. The majority electric vans struggle to keep this urgency up as speeds get higher; the e-NV200, however, maintains a decent turn of pace right up to the motorway limit. 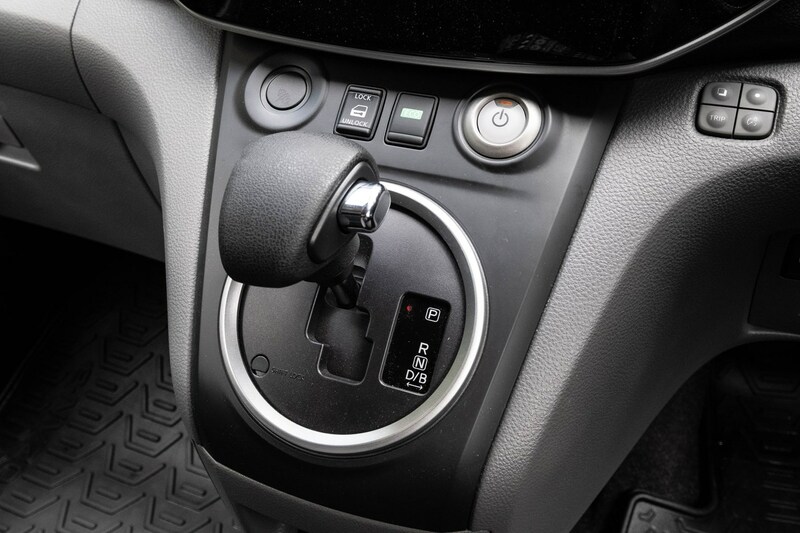 Certainly, it feels noticeably quicker than the Renault Kangoo ZE 33 – but then, the Renault’s motor provides just 60hp and a much lower 225Nm of torque. 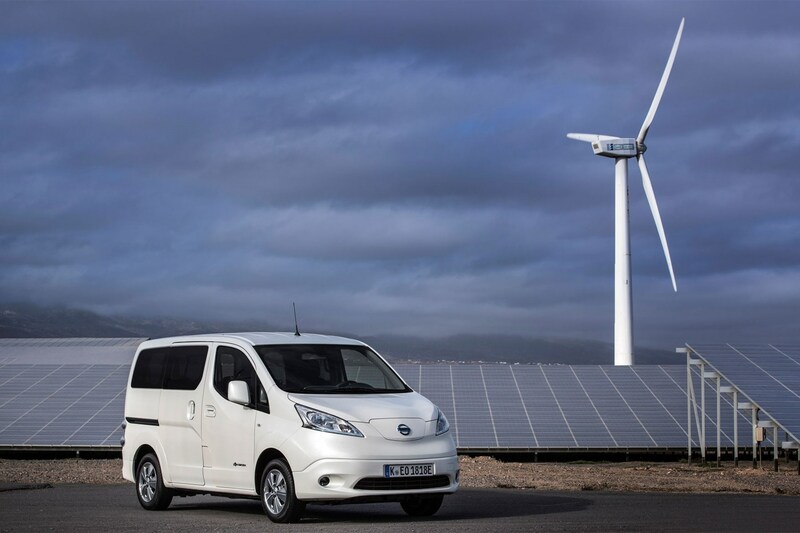 So if speed is of the essence, the e-NV200 is definitely a good choice of electric van. But that’s not really the whole story about this van’s driving experience. Firstly, if you drive it as quickly as it can go, you’ll see the battery range absolutely plummet. More than any other electric van we’ve driven, the e-NV200’s range indicator seems to be extremely sensitive to driving style – meaning that it will very swiftly change its estimated remaining range depending on how heavy you are with your right foot. As an example, we drove 33 miles from Peterborough to Cambridge in the evening rush hour. Indicated range was 140 miles at the start of the journey; but just 95 miles remained at the end. You will need to consider how you drive as well as your distance to get the most out of the e-NV200. The other thing is that like all NV200s, this is a tall narrow van. As such it gives you a good view ahead, and is a delight when dealing with city centre width restrictors, but can feel a bit tottery when driving along twisty roads. Ride quality isn’t exactly smooth, either. 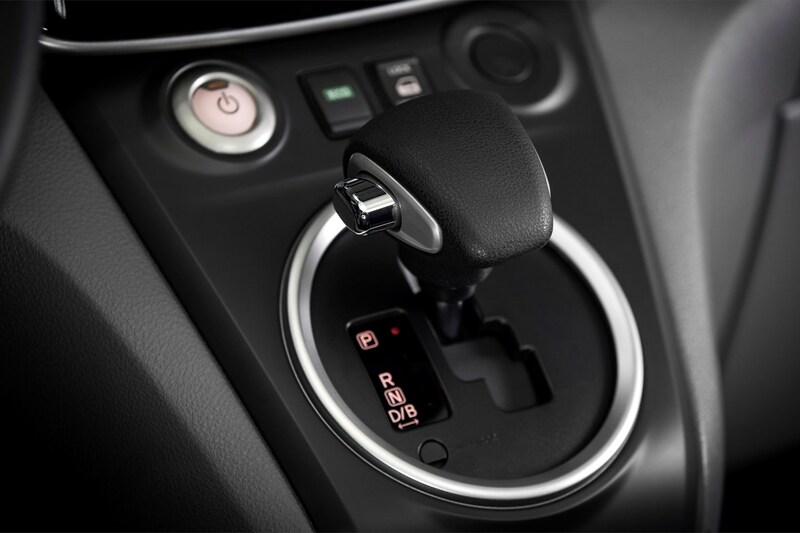 Still, with light steering and a single-speed automatic transmission, it is easy enough to get to grips with – just put it in Drive and go. Engine noise versus a diesel is much reduced, though there is quite a bit of wind and road noise. Just don't expect masses of comfort from the driving position. For as with all NV200s, this doesn't offer much adjustment. The interior plastics, meanwhile, are among the worst in the small van sector. How has Nissan made the e-NV200’s driving range 60% longer – and does it reduce its usefulness as a van? 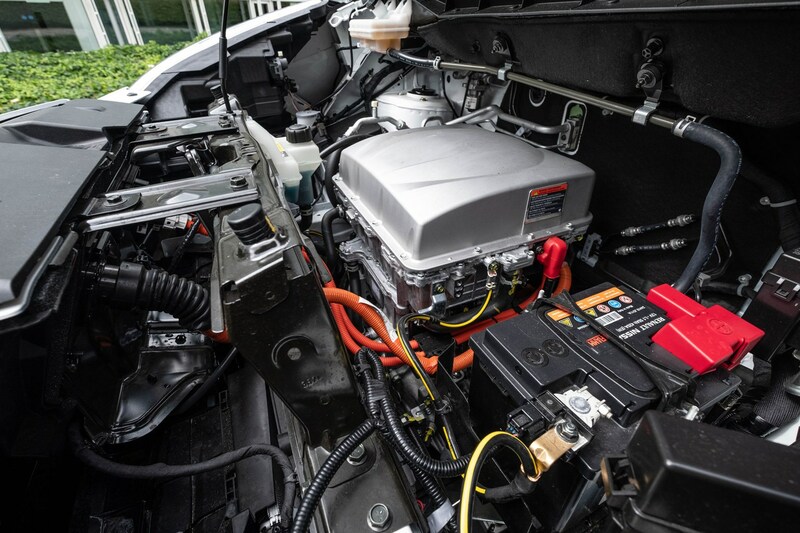 Simply put, the battery pack now holds more electricity than it did before – going from 22kWh (that’s kilowatt hours) in the original to 40kWh in this new version. This has been done by increasing the battery density, rather than making the batteries physically bigger. 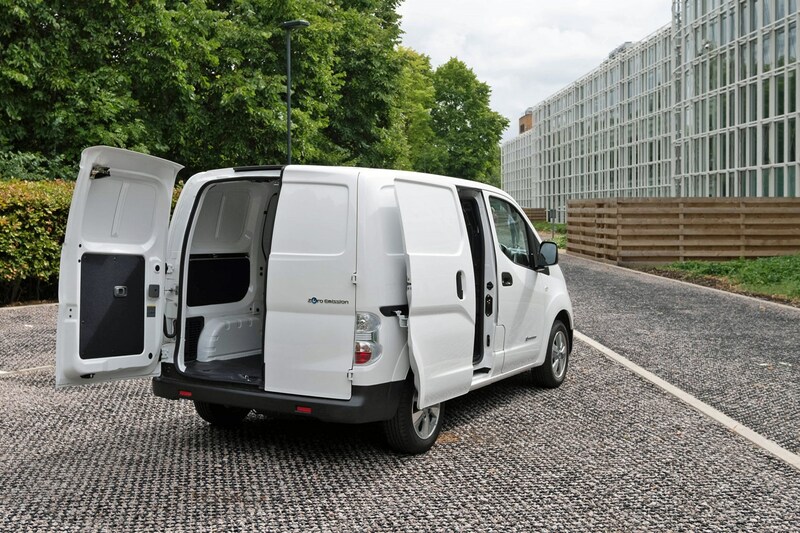 As a result, the 2018 e-NV200 van has the same 4.2 cubic metres of load space as the previous model – and the conventional NV200 diesel. The load area dimensions are the same, too. This is all made possible by having the batteries mounted under the load area floor. 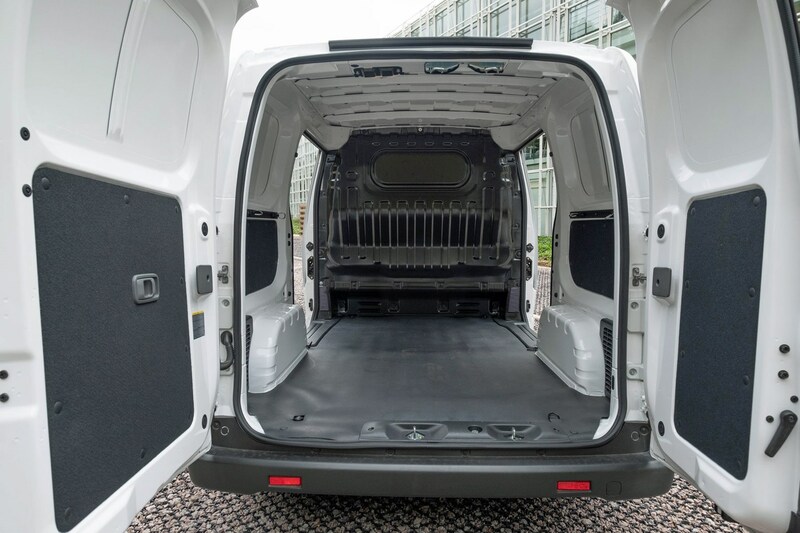 Like all NV200 variants, the e-NV200 gets twin sliding side doors and has enough floor space for two Euro pallets. The 2018 model’s 705kg payload is slightly higher than the 678kg it could carry before. How long does it take to charge the 2018 Nissan e-NV200? As with all electric vans, charging up does require a lot more time – and therefore planning – than refilling a diesel fuel tank. It’s why they’re best-suited to businesses that serve a consistently predictable area. Exactly how fast you can recharge depends on the charger. If all you’ve got is a domestic 13-amp three-pin plug, the increased battery density means a full charge from empty takes 21.5 hours. Ouch. A 32-amp ‘wallbox’ home charging station reduces this to 7.5 hours, and less still if you consider you’re unlikely to run the thing completely out. The plan of operation here is to plug in every evening, leave it charging overnight and drive off with a full battery again in the morning. Should you need faster charging for a proper top up during the day you’ll need to find a Quick Charger, which can deliver an 80% boost in 40 minutes. No problem if you’ve got the luxury of a proper lunch break, but how many of us actually do these days? Other practical considerations are that the climate control timer is so complicated to set up we couldn't get it work (and yes, we did check the manual), and the charging flap in the nose opens in such a way you have to bend down to plug the cables in underneath it. Which isn't the best ergonomic design. 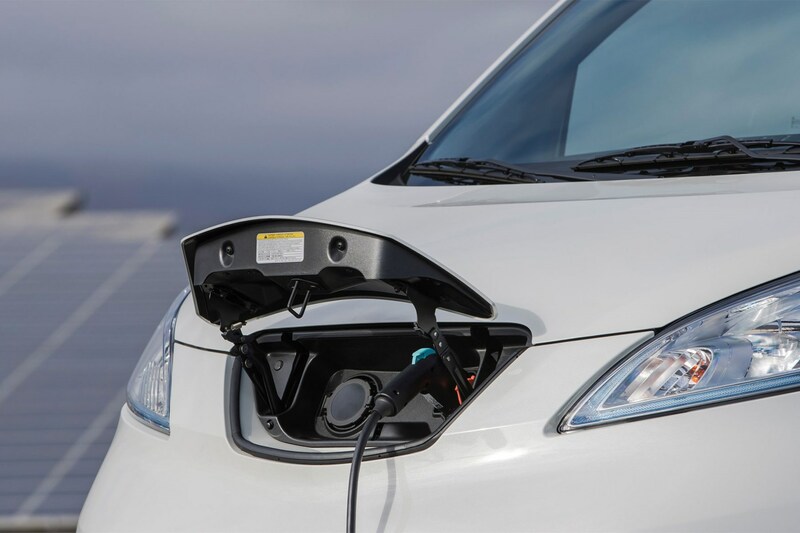 You do get two different types of connector, however, making the e-NV200 less fussy than most electric vans when it comes to charging points. 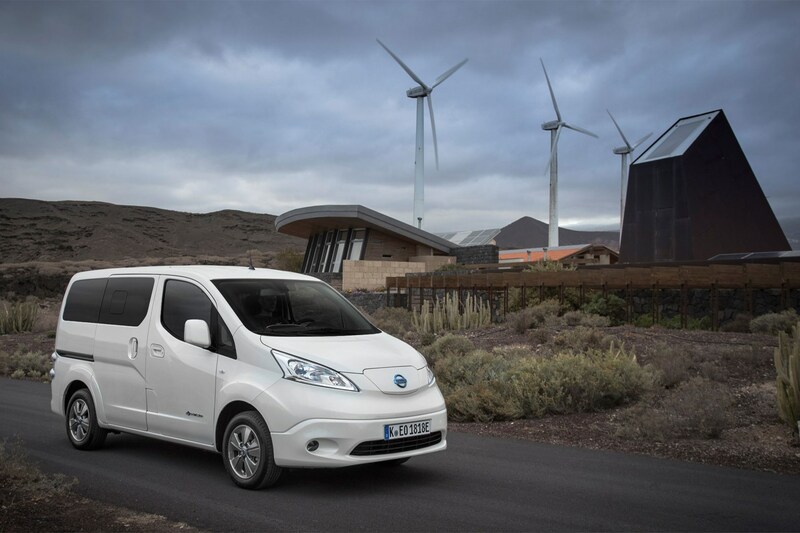 How practical is the Nissan e-NV200 Combi as a people carrier? 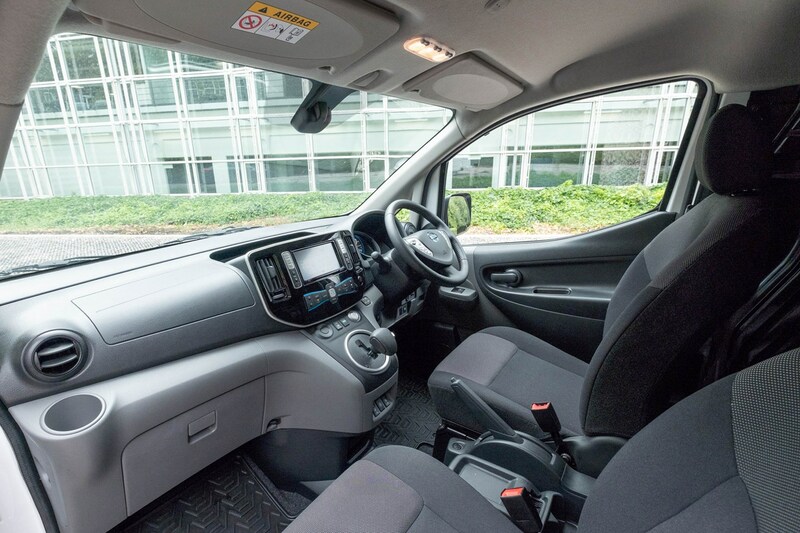 We've also driven the e-NV200 Combi (also known as the e-NV200 Evalia), which carries up to seven people in a compact footprint across three rows of seats. Five and seven-seater versions are available. 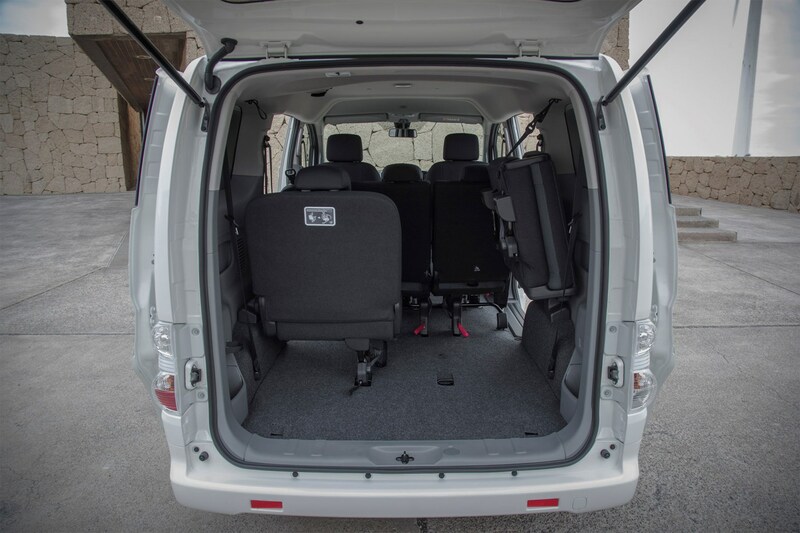 In seven-seaters the middle row is comfy enough – though if three people are seated, the narrow width means they will probably want to be close friends – but the rear row has limited legroom and requires a fair degree of limberness to access. Fully occupied, you’ll find there’s not a great deal of room left for luggage, though those rear-most seats do fold up sideways to free up extra space when not in use. There’s no getting away from the small size of the windows in the sliding side doors, either, which leave back seat passengers feeling claustrophobic. It currently represents only 20% of e-NV200 sales – suggesting the Combi is certainly a niche within a niche at the moment. But no other manufacturer builds anything quite like it, so if you do need a small, all-electric people carrier it does the job adequately well, if not with any particular style or panache. 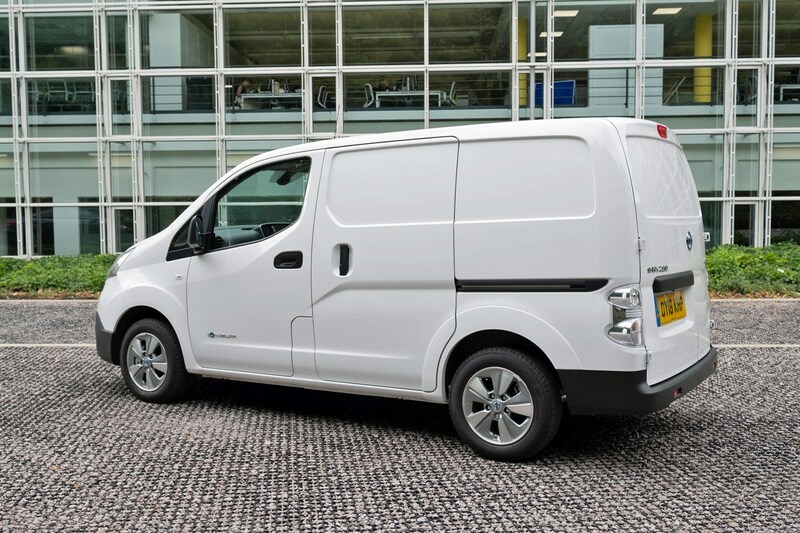 At the time of writing (August 2018), the 40kWh e-NV200 costs from £19,116 (excluding VAT) as a van. That price includes the government's plug-in van grant, a discount available on all electric vans. To put that into contest, the e-NV200's entry-level price is just over £4,000 more what you'd pay for a basic NV200 diesel. Counterbalancing this premium, running costs should be super low. Electricity is much cheaper than diesel in pence-per-mile terms, and servicing costs are also far lower as there is no need for annual oil changes and there are fewer moving parts. Residual values are a more complex issue, as used buyers remain more wary of electric vans than conventional petrol or diesel. 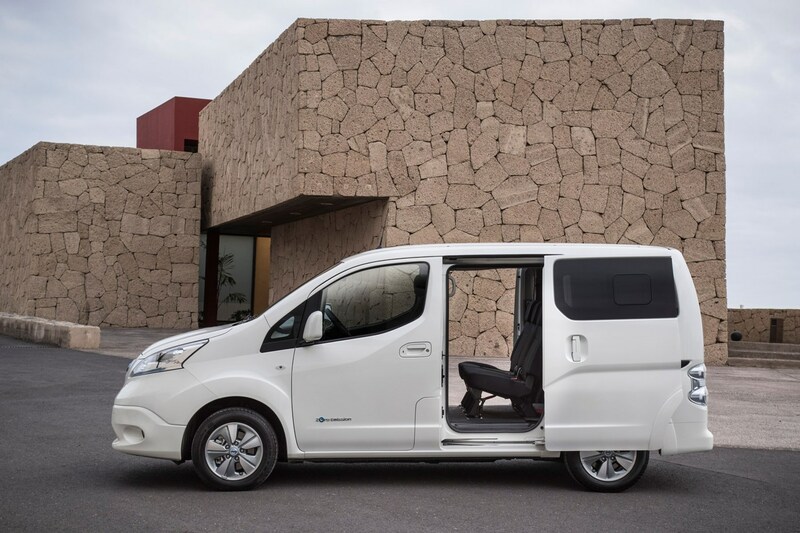 But since Nissan only sells the e-NV200 as a complete vehicle, rather than with the option of a separate lease for the battery, used prices shouldn’t be dragged down in the way they can be with electric Renaults. You also get plenty of standard equipment for your money, as well as an eight-year battery warranty. The other components are covered for five years, as with all NV200s. Thinking about an electric van? Then this 2018 upgrade would appear to re-establish the Nissan e-NV200 as the obvious default choice in the small van class. 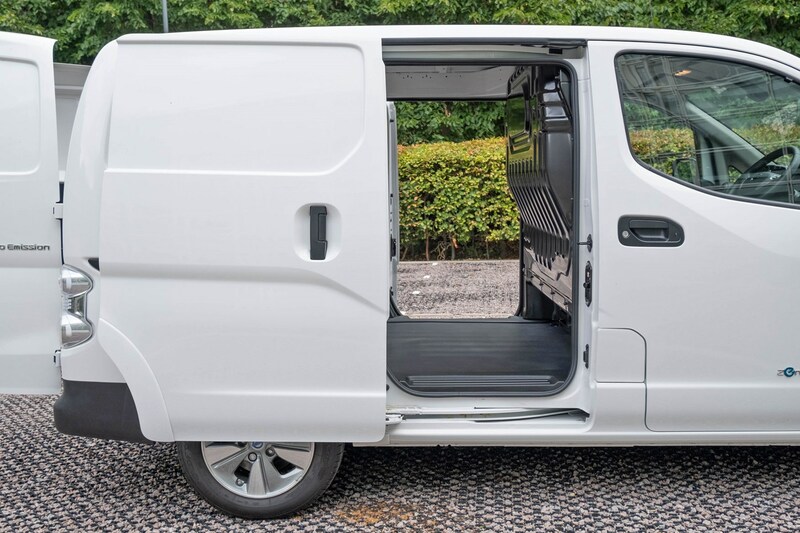 The driving range, generous load area and compelling overall value make it the van rivals need to beat to win your business. Why bother with an electric van at all? Well, if you’re reading this then you’re probably most of the way there already – the cost-per-mile advantages, the ability to access the coming city-centre zero emissions zones, and the clean, green image are all the justification most businesses will need, assuming the still quite considerable range and purchase cost restrictions don’t rule the idea out immediately. That electric vans are nicer to drive then their diesel (and petrol) equivalents is the icing on the cake. 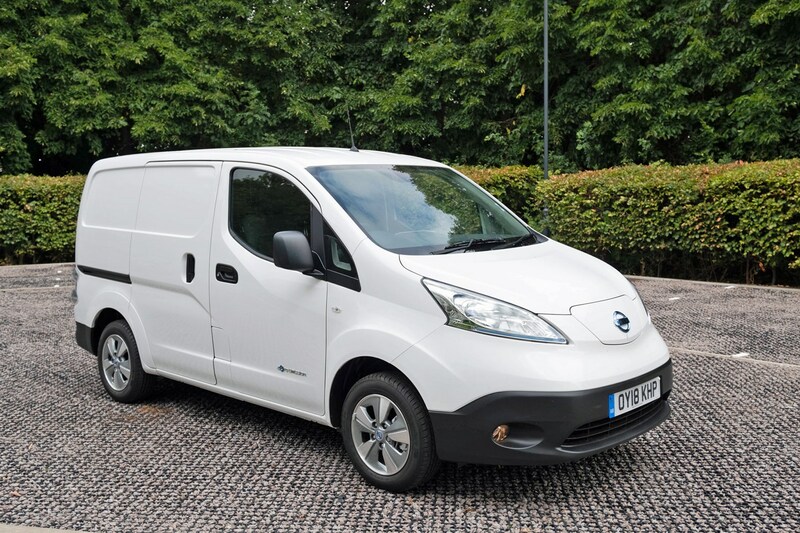 For more information on electric vans see the dedicated guide on Parkers Vans and Pickups for all the pros and cons and a round-up of all the latest models.